Is a Ketogenic Diet Safe for Weight Loss? If you have been contemplating various weight-loss strategies, you may have run across the ketogenic diet. This dietary strategy, which is often used in a clinical setting to help improve seizure control in children with epilepsy, is picking up steam as an effective treatment for weight loss. But is it right for you? We turned to the experts to find out more. The ketogenic diet is a high-fat, moderate-protein, low-carbohydrate diet that forces the body into a state of ketosis, where fat is burned for fuel instead of carbohydrate. (This isn’t to be confused with ketoacidosis, a dangerous condition typically caused by a lack of insulin in the body.) Dominic D’Agostino, PhD, a researcher on ketogenic diets, says “the ‘classic ketogenic diet’ used originally for the management of drug-resistance seizures is a 4:1 ratio of fats to protein and carbohydrates.” That equates to about 80–90% fat, 5–15% protein and 5–10% carbohydrates. For weight loss, he says, this diet is typically modified “to allow a more liberal consumption of protein” (20–30%) with the same carbohydrate restriction. Is a Ketogenic Lifestyle for You? Although Christy Brissette, MS, RD, agrees that this diet can promote rapid weight loss, she also cautions on the risks of losing weight too quickly. 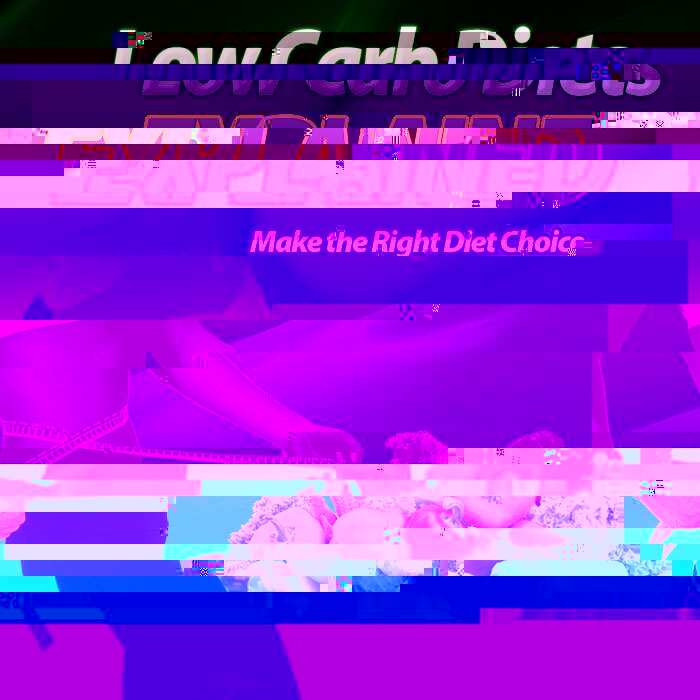 “Research shows that people tend to regain weight they have lost on low-carb diets because they are difficult to maintain long-term,” she says. “A ketogenic diet cuts or severely limits food choices such as fruits and whole grains, leading to a limited meal plan which may can be difficult to stick to.” It’s also worth mentioning that low-carb diets deplete carbohydrate stores in the liver and muscles. Since these carbohydrate stores are bound tightly to water, you can expect the majority of weight lost during the first week of a ketogenic diet to be water weight. D’Agostino and Koutnik, however, state that this dietary strategy may be beneficial for those with both Type 1 and Type 2 diabetes. They point to research at Duke University that found individuals with Type 2 diabetes who followed a ketogenic diet lowered their A1C level, a long-term indicator of blood sugar control, by 16% along with a 6.6% reduction in total body weight. For anyone with diabetes considering a ketogenic diet, it is recommended that you discuss this dietary strategy with your medical team before proceeding. Adjust your macros. To achieve nutritional ketosis, adjust your MyFitnessPal macronutrient goals to achieve a daily intake of 70–75% fat, 15–20% protein and 5–10% calories from carbohydrates. Anticipate a temporary drop in energy. Transitioning to a ketogenic lifestyle can be a bit challenging in the beginning. “The first few days to few weeks of a ketogenic diet can be tough to get through,” says Mancinelli. “You may experience very low energy, crankiness and foggy thinking.” This feeling of lethargy may last from a few days to a few weeks; however after it passes, many individuals report an improvement in energy and mood, as well as clearer thinking. Check your urine for ketones daily. D’Agostino says an optimal amount is 40mg/dL, but even a range between 5–15mg/dL indicates a state of accelerated fat burning. Moderate your protein intake. Remember that a ketogenic diet is not a high-protein diet. Consuming too much protein may shift you out of a state of ketosis, as the body can convert excess protein into carbohydrates. Eat a variety of fats. Make sure your intake of fat is balanced between plant-based sources and animal fats such as olive oil, nuts, seeds, coconut, along with fatty fish. This will not only help to improve overall health, but it will add variety to your meal plan as well. Know it’s not a quick fix. As with any weight-loss plan, the goal is not just to lose weight but also to keep it off. Before you transition to a ketogenic way of eating, ask yourself whether you can make this a long-term lifestyle change and not just a quick fix that could lead to a cycle of yo-yo dieting. Accurso, A., Bernstein, R. K., Dahlqvist, A., et al. “Dietary carbohydrate restriction in type 2 diabetes mellitus and metabolic syndrome: time for a critical appraisal.” Nutrition & Metabolism, 2008. 5(1), 1. Boden, G., Sargrad, K., Homko, C., et al. “Effect of a low-carbohydrate diet on appetite, blood glucose levels, and insulin resistance in obese patients with type 2 diabetes.” Annals of Internal Medicine, 2005. 142(6), 403-411. Dashti H.M., Mathew T.C., Hussein T., et al. “Long-term effects of a ketogenic diet in obese patients.” Experimental & Clinical Cardiology, 2004. Fall;9(3):200-5. Forsythe, C. E., Phinney, S. D., Fernandez, M. L., et al. “Comparison of low fat and low carbohydrate diets on circulating fatty acid composition and markers of inflammation.” Lipids, 2008. 43(1), 65-77. Gibson, A., Seimon, R., Lee, C., et al. “Do ketogenic diets really suppress appetite? A systematic review and meta‐analysis.” Obesity Reviews, 2015. 16(1), 64-76. Hallböök, T., Ji, S., Maudsley, S., and Martin, B. “The effects of the ketogenic diet on behavior and cognition.” Epilepsy Research, 2012. 100(3), 304-309. Harber, M. P., Schenk, S., Barkan, A. L., and Horowitz, J. F. “Alterations in carbohydrate metabolism in response to short-term dietary carbohydrate restriction.” American Journal of Physiology-Endocrinology and Metabolism, 2005. 289(2), E306-E312. Hasselbalch, S. G., Madsen, P. L., Hageman, L. P., et al. “Changes in cerebral blood flow and carbohydrate metabolism during acute hyperketonemia.” American Journal of Physiology-Endocrinology and Metabolism, 1996. 270(5), E746-E751. The post Is a Ketogenic Diet Safe for Weight Loss? appeared first on Hello Healthy. Sorry, but we haven’t had any complaints from anyone else so maybe it’s a problem on your end. Also, from our access logs it appears that Google Chrome is the most widely used browser, not IE as you suggest.